The last 6 months have been devoted to the coopordie2 prototype. The news for this period is directly available on the 2009 prototype sub-site. 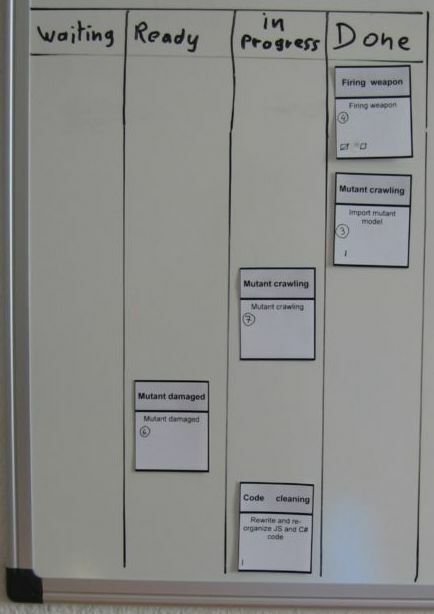 The development was sliced into "sprints" inspired by the Scrum methodology. Each sprint is a session of 2 or 3 weeks focused on a sub set of features. Some videos were recorded during the development. They show the progression from a walk around a mine shaft to a fight against the mutants. The last touch was related to the character animation and the camera management. After the end of this first prototype, the development will be suspended. I will take a break and come back to COOP or DIE for Quake2. The development of a second prototype will start in a few months. The main feature will be related to multi-player aspects. Comments or questions can be posted on the coopordie2 forum. I've just created the forum for discussions related to coopordie2. I have started to fill it with the current "Sprint" information related to the mine shaft. Some videos about the mutants AI will come later. The 3rd sprint of the development of coopordie2 has been completed. The acid sea tide has been basically implemented. The player is hurt by the acid, but if he can get some rest, his health points are progressively restored. If the health goes to zero, the player is forced to crouch, can't attack and can only move slowly to a healing station. The healing station can treat the player completely in a dozen seconds. During this last sprint I started to use the Proto Pack from Frogames. I have used it for the healing station model and particles effect. 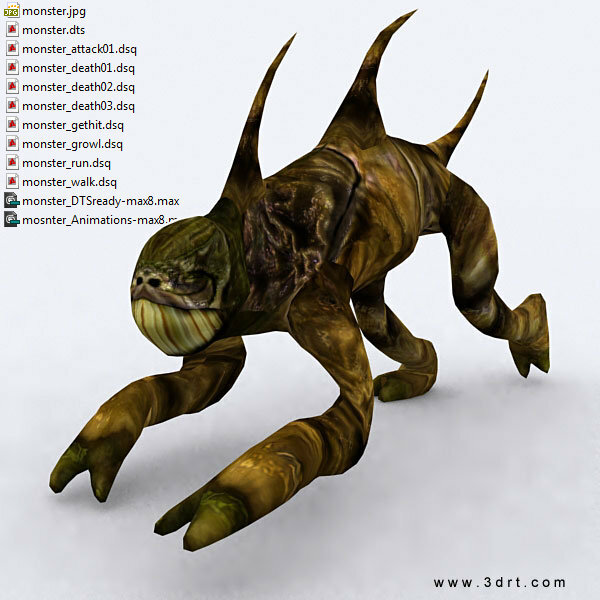 Previously, using complex models for the player and monster was interesting for my knowledge of the Unity engine asset integration. But for rapid prototyping and testing the game play, I will probably not pay too much attention to the models for the next sprints. I plan to use the proto Pack again for a quick implementation of the mine shaft. On the Solo Scrum aspect of the development, I think I have definitively adopted the sprint backlog. I will probably rework the product backlog and produce a release backlog for the coming 4 months. 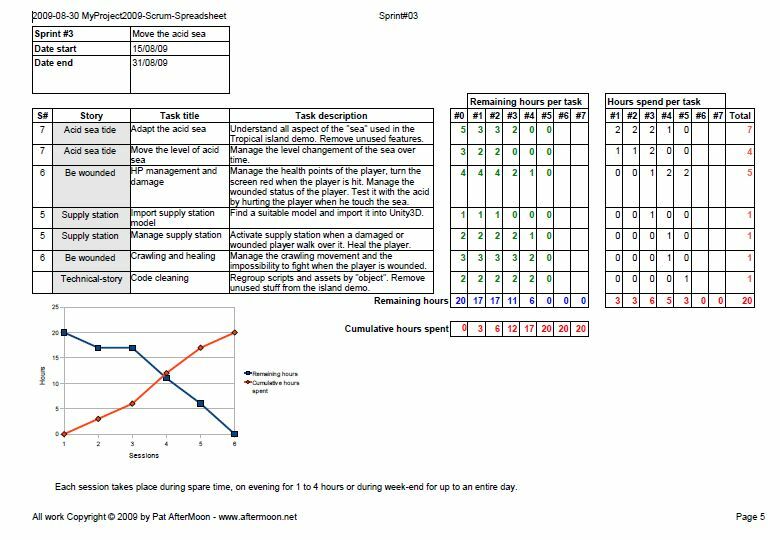 There is also an aspect of the Scrum method that I would try for my development; it is a sprint review meeting. I think I could provide a demo at the end of the next sprint. It could be a game play video, or directly a release of the game in its current state. I could put it online for a short time and organize a sort of development chat with some friends and coopordie visitors. Creating an event, showing the product and chatting with other people will probably help with maintaining the pressure on me. The synthesis of the discussion may help me to do a sprint retrospective. All in all, the experience will probably be interesting. For preparing this demo event I will share more information about the next sprint and I will soon open a new forum dedicated to coopordie2. COOP or DIE 2, Unity 3D, Solo Scrum: let's go! Here it is, I have been working seriously on a COOP or DIE 2 prototype for the last two months. For this new project I would like to experiment an agile approach like the one described by Peter Bell in his Solo Scrum article. I'm completely new to Scrum, but I could probably become familiar with some of its concepts by using it for this spare time activity. 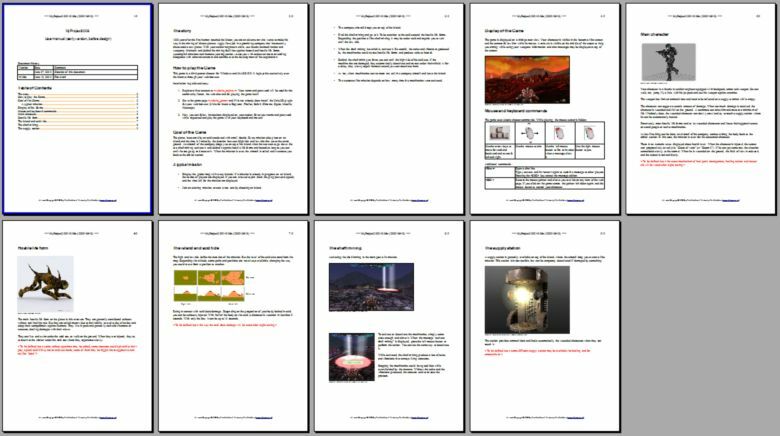 So, it is a game prototype planned to be developed from July to December 2009 at an average of 10 hours per week. I think I have defined the prototype as something basic and doable. The tools are chosen and most of the art content has already been acquired. I have firstly written a user manual which explains most of the elements. 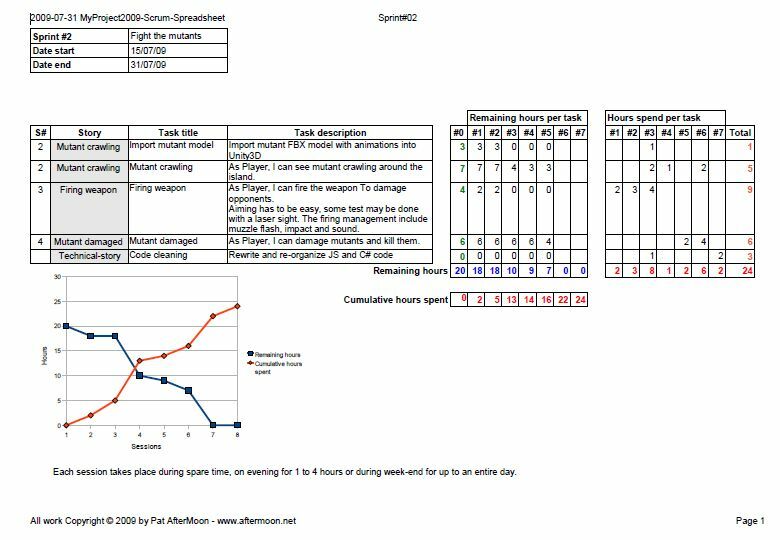 I have also written a first draft of product backlog and sketched the first 3 sprints of 2 weeks each. I'm currently running the third sprint. Since last week-end I have started to fill the coopordiequake2 SVN at SourceForge. 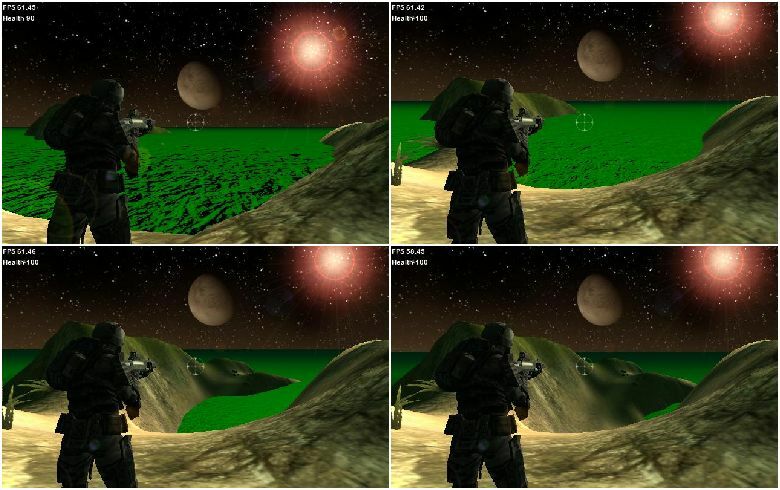 The repository was initialized with the id Software Quake 2 GPL source code version 3.21. 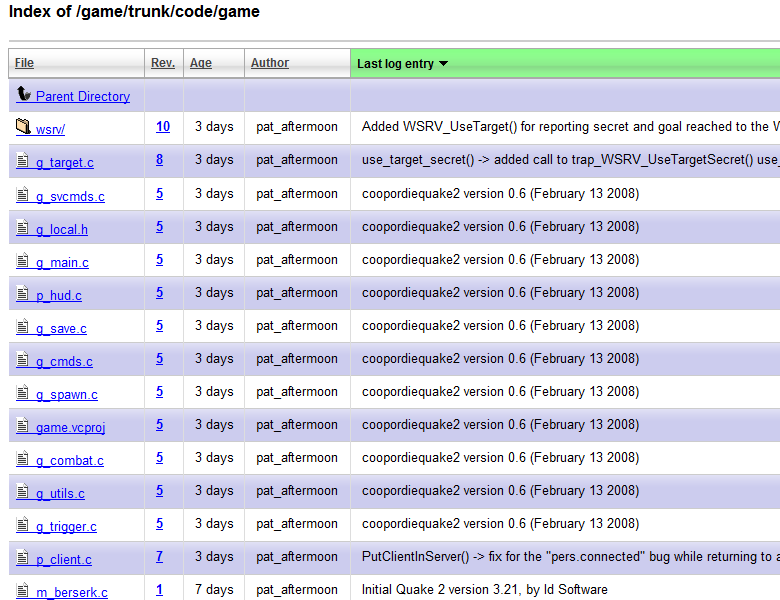 I have committed the code and data for the coopordie 0.6 version from February 13, 2008. I have also added few small changes I'd already made and that will be released on the next version. 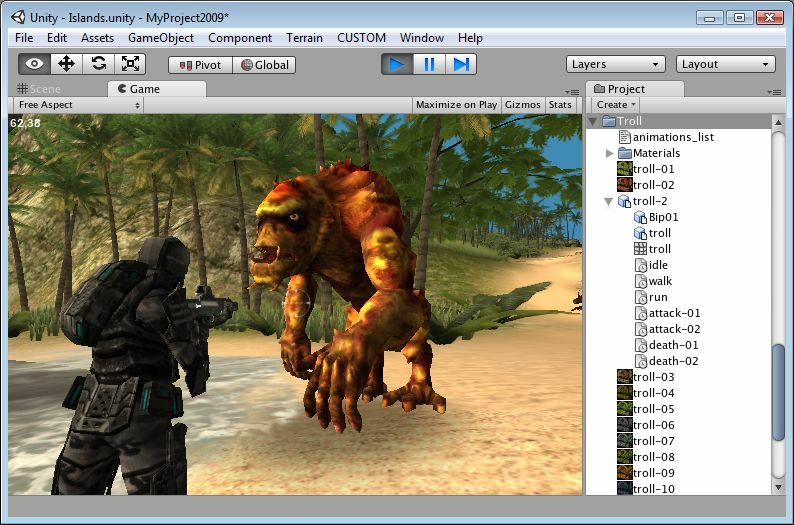 The source code includes a project file for Visual C++ 2008 Express Edition which can be downloaded for free. There is currently no version for Linux, so please be patient . Unofficial dll are prohibited on coopordie.com except for my betatest account. If you are a programmer interested in dll modifications, please contact me, and I will try to create a sort of testing group. It's funny, but while searching information about the Torque3D web capabilities, I've discovered one of its competitors. 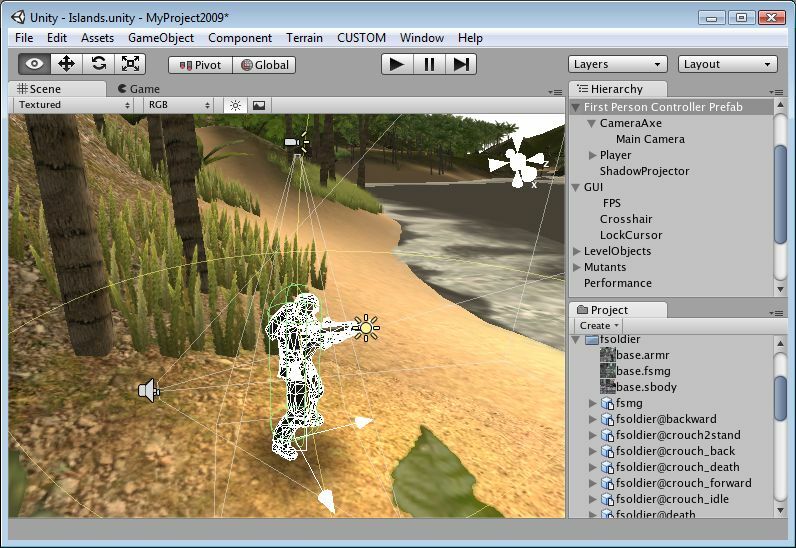 Unity3D has a very different approach, targeted more at content creators and web developers than traditional coders. It seems to fill the gap between Adobe Shockwave 3D and the Torque Game Engine. I hadn't noticed Unity3D before. It was mainly because even though it can produce games for Mac and MS-Windows, the developers' tools were only available for Mac. Since the recent version 2.5 this bug has been corrected . The development tools are really professional and fine-tuned. It is probably less polyvalent than Torque, but for simple games, it seems easier to handle. Unity3D is natively targeted at web integration. It works on all major web browsers and its plug-in is lightweight. The available works directly playable from the web can speak better, here are a few: The Tropical Paradise demo, a car racing game and the cartoon MMO FusionFall. 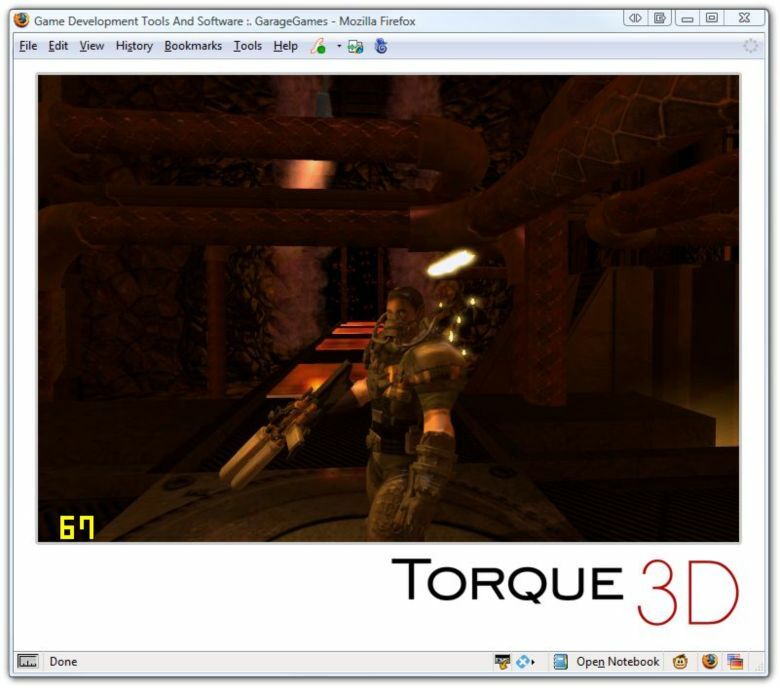 Since the start of 2006 I have stopped using the Torque Game engine. But I've always kept an eye on GarageGames. The interaction between a game and a website has always interested me, so I've watched their web portal InstantAction since the closed beta version. 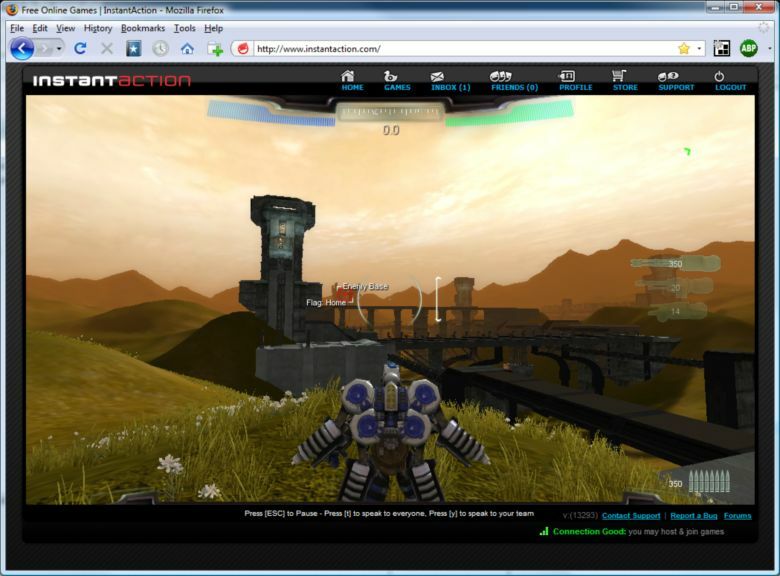 It seems that web integration for games is very popular these days, and not only for traditional casual games. I'm impatient to see what the next QuakeLive will be. Currently the web part of these projects is mainly related to game account, player profile, chat and game lobby. But I'm sure some new features will start to appear with this different way of playing games. After asking the GarageGames team about InstantAction technology licensing I learned that their new Game Engine Torque3D will support basic web publishing options. Playing a Torque-based game inside a web browser with easy web interaction is plenty enough to convince me. But there are lots of other interesting features. The videos from the last Game Developers Conference have finally convinced me. So I've decided to take a more dept look and I've pre-ordered Torque3D. One of the things that has really pleased me while coming back to the Torque community is the presence of 3DRT.com. I've always been a fan of Max Shelekhov 3D modeling, and I've purchased several models from him in the past. Seeing his interest towards Torque game developers was very cool. All his recent productions are available on DTS format. Having high quality models directly on the native animated models format of Torque Game Engine is a nice additional advantage. That probably predicts a future interest on my part. 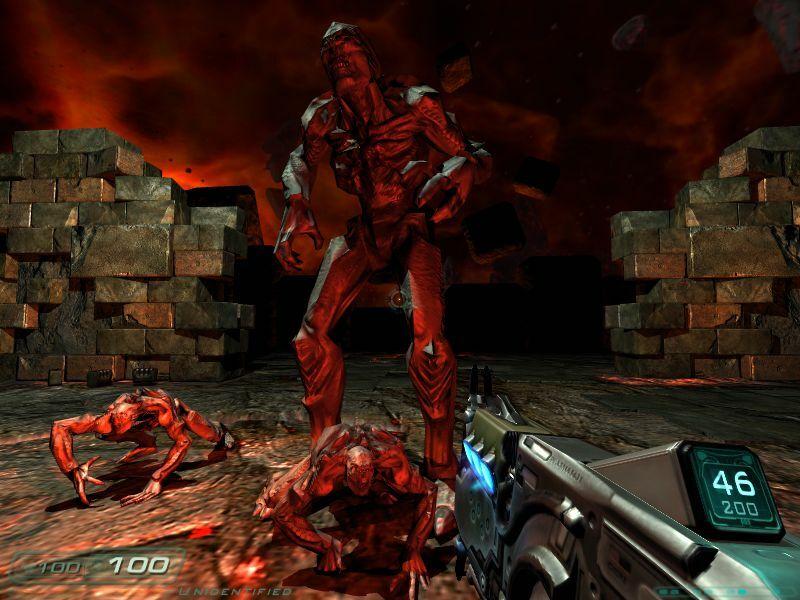 The Doom 3 Boss contest is over. My contribution is modest, but I've reached one of my goals: I've learned a lot! My Imp Boss is a sort of super Archvile with multiple waves of minions. I have used the open source md5scale.exe utility created by z1corvette to generate a model twice the size of the classic Imp. Due to the use of a bugged md5scale version, I've lost many hours. I have corrected the tool and learned a lot about manipulating the MD5 model format. At the end, I discovered an updated bug free version, with nearly the same corrections as mine . After this setback, my main task was about scripting. I have designed the waves of minions to be very configurable from the map editor. I have also created a specific minion, a crawling Imp with only a melee attack. It has a higher movement speed and it jumps to the player more aggressively. I haven't got the time to add a specific attack to the boss, so it only tries to scratch the player when it is close enough to him. The final result is far from what I wanted, but dealing with deadlines is also part of this type of contest. All this work is available in the bossimp_9_01.zip file (1.9 Mo). 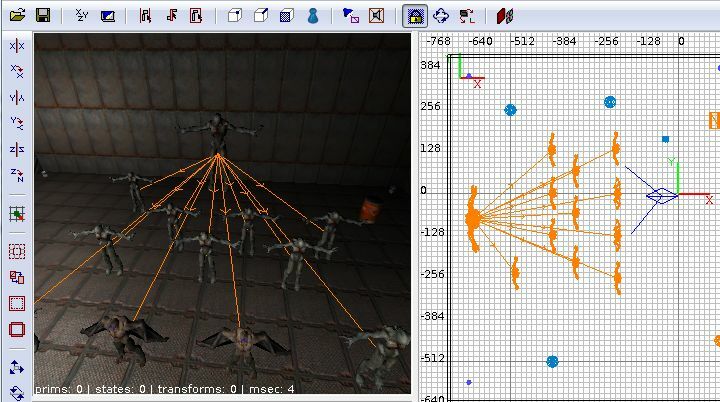 It includes a test map with the boss, the md5scale source code, the script files and all necessary assets.